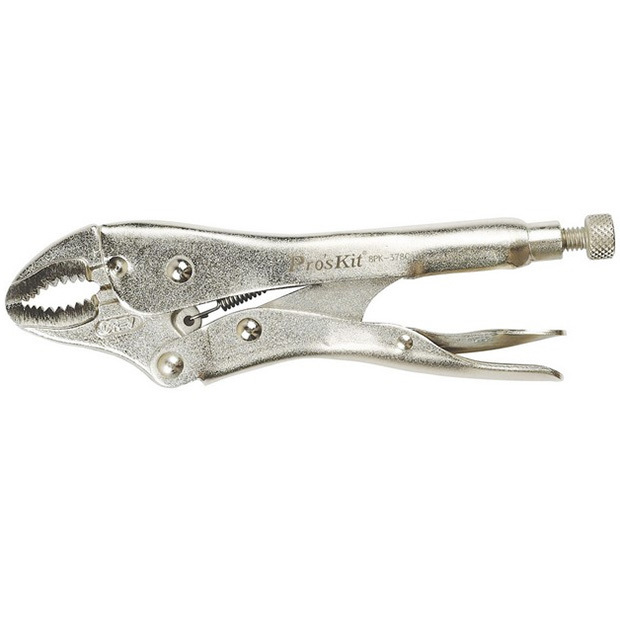 Adjustable Locking Plier (Industrial Grade) 7"
he forged jaws have an angled tooth pattern for superior grip and built-in wire cutter. The handle features a compound action non-slip lock and release lever for one-hand operation. With precision-machined jaw adjustment screw to fit work. Heavy duty model, provide maximum contact for holds round, flat, square, or hex material securely.